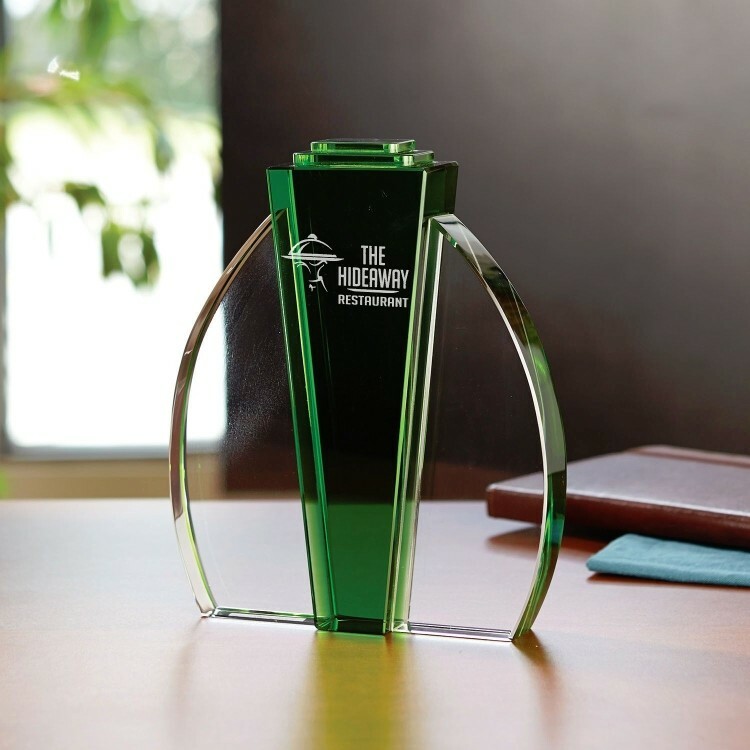 If you're in the market for a majestic, one-of-a-kind award to hand out at your next employee recognition ceremony, then look no further than our Emerald Tower Award. This eye-catching accolade stands proudly and displays your customized imprint in dazzling silver or gold colorfill. Standing just over 8" tall, the award is perfect for handing out at banquets, receptions or fundraisers and can be etched with your company name and logo, event and award title and more. Order yours today! 6.75" x 8.0625" x 1.625"
Product Highlights: This majestic green and clear award stands tall and proudly displays your logo in silver or gold colorfill.